3 x oustanding clips ! ! ! 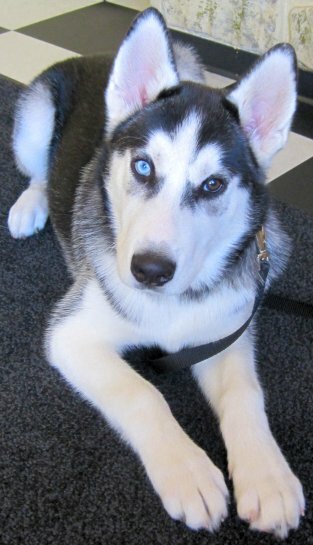 This is Marco Polo, David and Nancy's new Siberian Husky pup. He is a very neat, beautiful, dog that is going to be big! Right now he get's to go in the Medium Roll for a couple of hours every morning, too cool. Too cute as always, these two gals play fair but HARD in the Medium Roll! P.S. I found this over the weekend, brilliant! Some strange news articles and clips from today! These guys don't need me to play ball! Chloe will throw it for herself to chase, and Samba has been known to toss it a time or two himself. The new winner of "World's Ugliest Dog" contest is an adopted chihuahua named Princess Abby Francis. Man run over by his own dog in Florida. He was checking the oil when his dog leapt into the open door and accidentally knocked the car into gear. Take your dog to work day was yesterday. I'm sorry to have missed this news until it was too late to let you all know. Here's hoping next week gets better weather! Boy do those guys upstairs know how to party! Aedan came in for his assessment today. 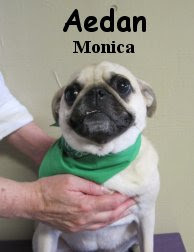 He is a one year old, 16 pound, Pug. Nancy said "Aedan is one of the happiest dogs we've ever had here." He went right to play... Picking up toys, playing chase games and performing multiple play bows! Aedan is in very good shape for a pug and had a total blast upstairs in the Little Roll. I bet we'll be seeing Aedan again soon. Koji had his assessment this morning and boy is he a nifty little guy. 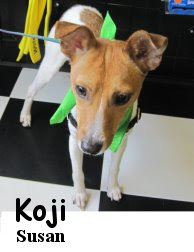 Koji is a one year old, 12 pound, red and white, Rat Terrier mix. He started out in our Medium Roll because he is a dog that can go-go-go, chase games are his favorite. Koji is a rescue dog who has "been through the mill". Good thing he's scored a new owner and a loving home, way to go! These clips are hilarious, can't believe I haven't looked them up before. Sorry if they are old news to some lol. Paisley had her assessment this morning. She is a three year old, 17 pound, Light Apricot colored, Cockapoo. 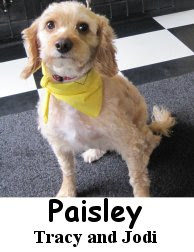 Paisley is a delightful little dog that didn't do half-bad upstairs in the Little Roll, especially for being a rescue. Her past is questionable, as in, not very good. Luckily for Paisley it's all behind her now, she has a fresh start with loving owners and a new little brother named Miller (who's been coming to the fort for quite some time). Welcome Paisley, cheers to new beginnings! 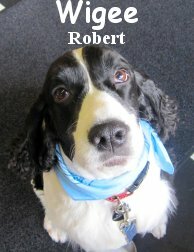 I found some neat articles today--one about some amazing "doggie dye jobs" at Ruowen Pet Spain Beijing. The latest Iphone app for dog lovers is "DogBeMine". 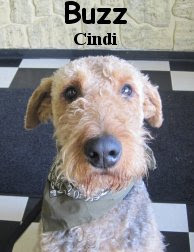 It contains extensive information about different dog breeds to help prospective owners choose a pet, and training tips for those who already have one! This is not the happiest news article, but Natural Balance has had to recall some of their Sweet Potato & Chicken Dry Dog Food because of a contamination with Salmonella. The Metropolitan Veterinary Hospital in Tacoma is having their annual Met Vet Pet Health Fair (try to say that three times fast!). From 10am-2pm, there will be information booths about healthcare for pets, and several adoption agencies will also be present. This event is also a fundraiser for Animal Food Bank assistance programs for seniors with pets. If you know of anyone who has lost a pet this year, the Missing Pet Partnership will be having a three-day seminar on techniques for finding lost pets. On the 4th of July weekend, anyone who has lost a pet is encouraged to go the the Kent animal shelter for assistance (they have an 80% recovery rate!). Here's a clip from the Fort today-- Louis had a heck of a time trying to figure out how to get the ball out of the other ball! The big blue ball has some big cutouts on it so that the dogs can see that there's another ball inside of it, and Louis loved the brainteaser! Pawsha and Kyoshi go on a tear. You must watch both of these vids in full, they are absolutely terrific! P.S. Happy Father's day to all the Dads out there. Canine DNA Database to help combat dog fighting This is awesome, I hope they bust more of these clowns. Murphy and Ryker, doing what they do best! I stumbled upon this dog breed report card (click it to zoom in) this morning and had to share it with y'all. 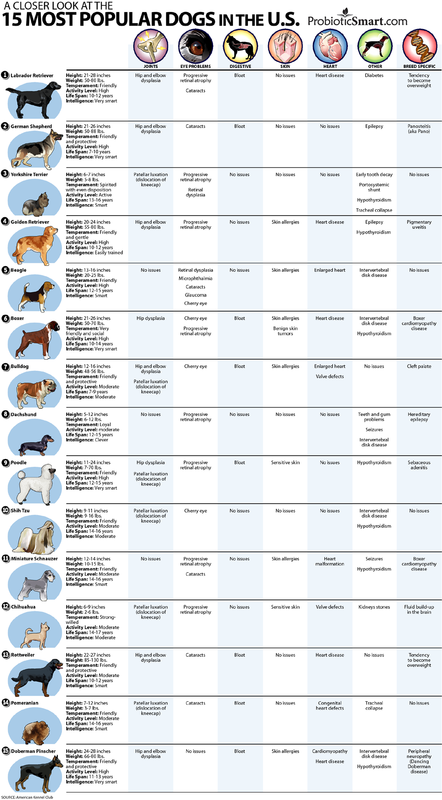 It is a chart that shows some of the most popular dog breeds and their most common ailments. Our week has started off with a bang, we had to assessments this morning. 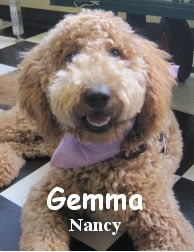 First up was Gemma. She is a nine month old, 47 pound gold colored Goldendoodle. Gemma is a lovely dog and she had a fantastic time ripping around in the Medium Roll. The second pooch was Buzz. He is a two year old, 70 pound Airedale. Buzz is a rescue dog and a real sweetheart. He has only been with his current owner for a couple weeks. After Buzz settles into his new home we expect him to enjoy the fort a lot more. A while back I blogged about Omar, the old Dalmatian, and a Shiba Inu/ Australian Shepherd mix named Niko. Well, they were back to their old tricks again today--I don't think they've seen each other since that day in April. Omar was just as happy to play with him today as he was last time. Niko made his rounds, and played with a lot of the dogs here today--he had an especially good time playing with Lillie, a Yellow Lab puppy. 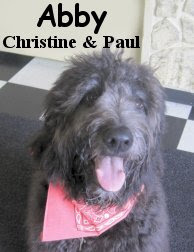 Abby, a beautiful black goldendoodle, just started at the Fort yesterday, but she's already making friends! Today she was excited to play with Teddy (a real little guy), and Chloe (a tall Weimeraner). Here's a clip of her and Teddy! 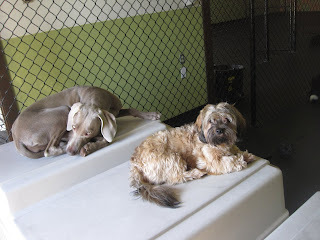 When they were getting tired, Chloe and Teddy jumped up to nap on top of the crates, near the sunshine. Let's hope our summery weather lasts! We had two assessments at the fort this morning. 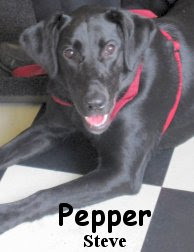 The first was Pepper, she is a eight month old, 55 pound Labrador Retriever. What can I say about Pepper... She is high energy, even after a two mile run! She is the rowdiest we've seen since Ryker (and of course they became friends instantly) lol. Although she's super spunky, Pepper is a good dog. I am sure we will see her in the Big Roll again soon. Our second assessment was Abby. Abby is a six month old, 43 pound, Goldendoodle with beautiful black and white hair (haven't seen too many like her). Abby wasn't quite as gung-ho as Miss Pepper but she did awesome and really seemed to enjoy herself. Abby is going to be a splendid addition to the Medium Roll. P.S. You gotta check this article out, what a trek! Wigee wagged her way into the fort for her early morning assessment. She is a darling, four year old, 52 pound, English Springer Spaniel. 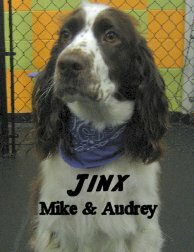 Wigee is a friend of Jinx (a longtime friend of Fort Fido) and she joined him today in the Medium Roll. She did well and spoke good dog. Wigee is welcome back anytime. 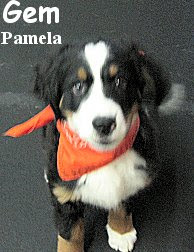 Great doggie info for the upcoming summer months can be found here. :( Sad day. One of Fort Fido's friends Coco passed away this weekend. Our sincerest apologies go out to his family. 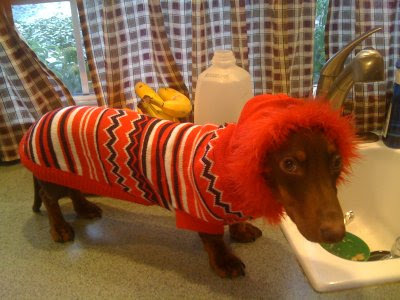 You can see a little clip of Coco and his old Mini Dachshund buddies here. Nobody could decide which toy they wanted at the Fort today-- Chloe, Mac, and Teddy kept switching it up in the first clip. In this next clip, Chloe ends up playing with each toy in under 15 seconds! Here Charlie tries to figure out just how to play with the super-huge (comparatively, anyway) Jinx. In the news, today was the 1st Annual Bark For Life event--an fundraiser run by the American Cancer Society, and designed specifically for dog lovers. Raleigh had his assessment this morning. 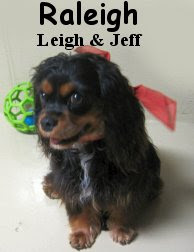 He is a very cute, one year old, 23 pound, Cavalier King Charles Spaniel. Raleigh putted around upstairs in the Little Roll and sniffed a few rear-ends haha. We expect him to start playing once he finds his groove. The first day can be a bit overwhelming, luckily Raleigh seemed pretty comfortable. Have a nice weekend, we got one dry day coming, woo-hoo! Pawsha and Osbourne have really been hitting it off lately. You can check them out in these two clips. Don't mind Sarah, she was going for the "Full Mount" lol. Fun @ Fort Fido ! Great times in the Big Roll, just another day in the life of this crew! We are back! I hope everyone had a nice weekend. Here are some interesting local snippets I found over the holiday. Black Lab nabs a burglar!